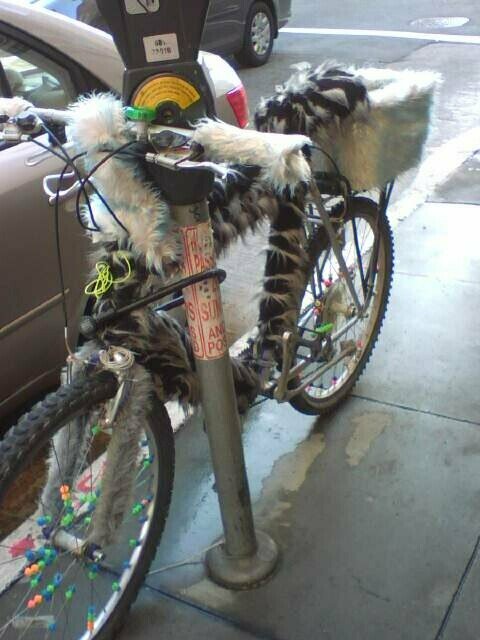 The plush bike — how could I resist? 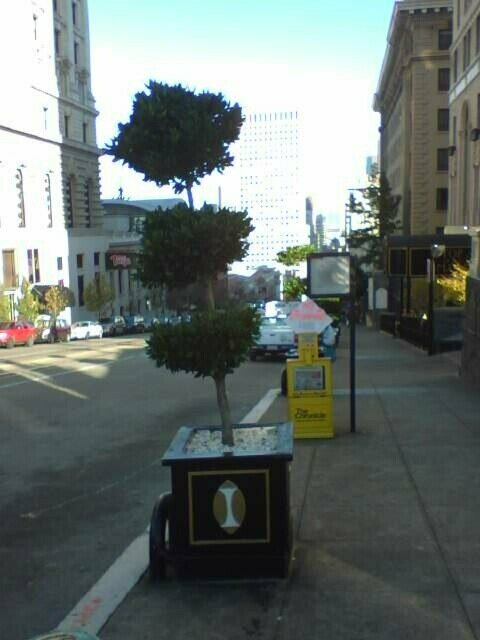 This was right around the same block where the drag queen complimented my outfit. Seal of approval, check! 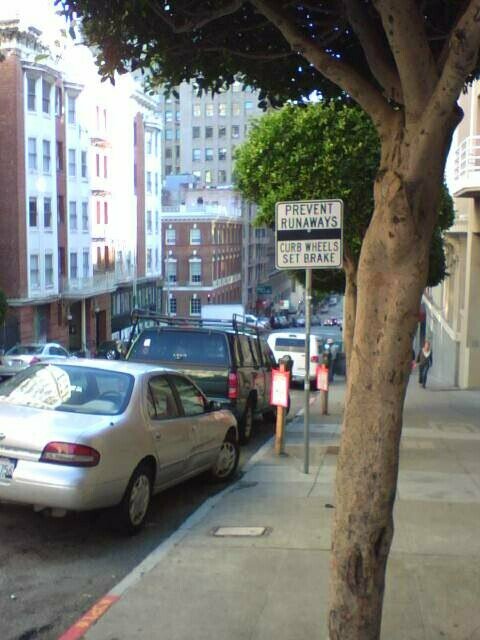 I loved all the warning signs about the dangers of parking on the streets of SF, which at times reach close to 45 degrees up Knob Hill (really!). If the light had been better, you could see the Golden Gate between the tall buildings (trust me on this). 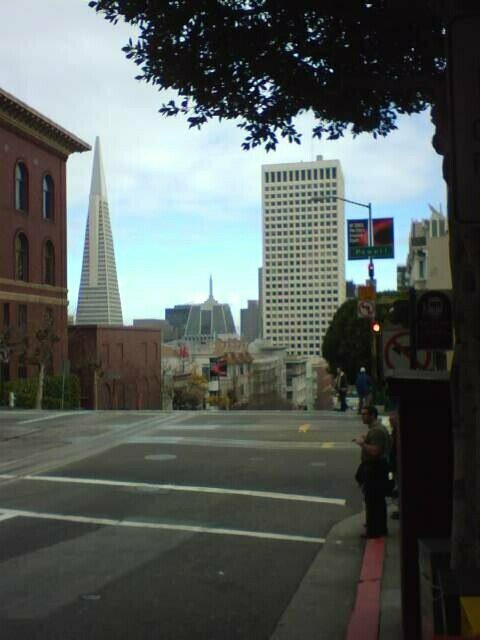 The TransAmerica Building from California Street. 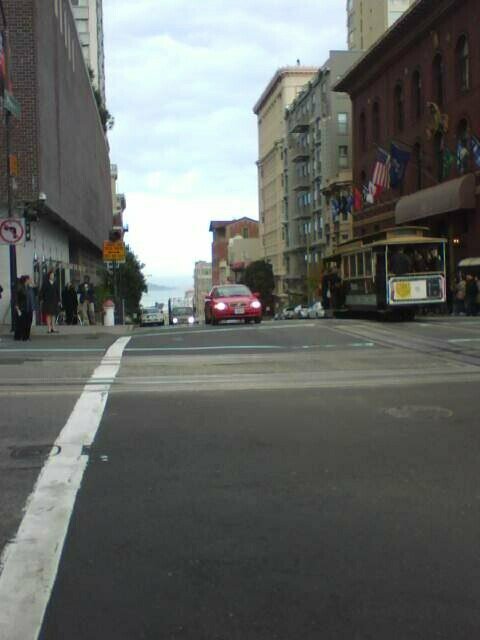 A cable car goes up Powell Street with Alcatraz in the background. 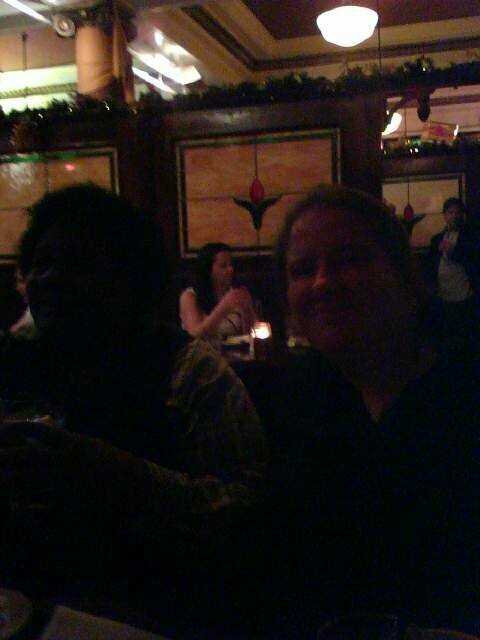 Adrean and Michelle linger in the comfortable gloom of Foley’s. 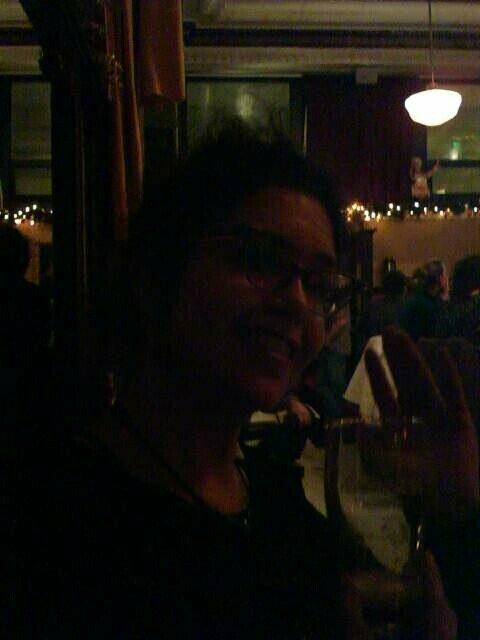 Frankie waves with a pint in hand. 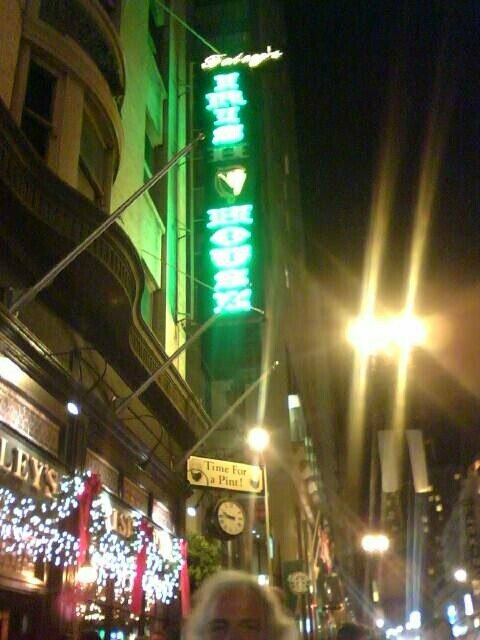 Johnny Foley’s Irish House (“Time for a pint!”) with the top of Skipper Bill’s head. 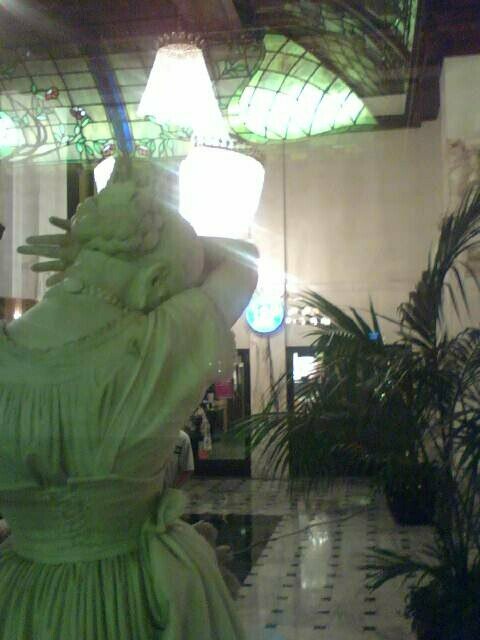 Lobby of the Hotel Whitcomb, seen from the bar, where the statue has adjusted to seeing the omnipresent Starbucks logo 24/7.